The application process for the Tillman Scholars program, which funds education for student veterans and spouses of veterans, will open Feb. 1. 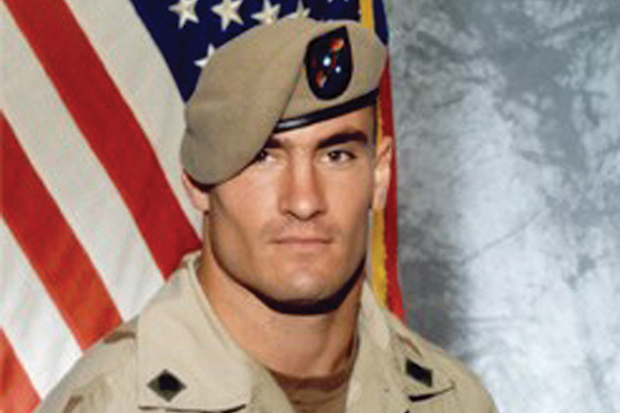 The scholarship honors Pat Tillman, a starting safety for the National Football League’s Arizona Cardinals, who put his football career on hold in 2002 to serve his country. Family and friends established the Pat Tillman Foundation (PTF) following Tillman’s death in April 2004 while serving with the U.S. Army’s 75th Ranger Regiment in Afghanistan. The foundation invests in military veterans and their spouses through scholarship and programmatic support, and is dedicated to building a diverse community of leaders committed to service to others. Up to 60 applicants nationwide are selected to be Tillman Scholars every year. Student veterans attending a four-year institution full time, as well as the current or surviving spouses of veterans or active-duty service members, are eligible to apply. Syracuse University was selected as a Pat Tillman Foundation University Partner in 2017 for its innovative veteran services, strong culture of support for military veterans and spouses and its rigorous academic programs. Katie Piston, a doctoral candidate in the bioengineering program in the College of Engineering and Computer Science, and Robin Evans, a first-year student in the College of Law were named 2018 Tillman Scholars. Ryan Gross was the University’s inaugural Tillman scholar in 2017. He graduated in 2018 with a master’s in public administration and is now a senior intelligence analyst for the Defense Intelligence Agency. To date, the Tillman Foundation has invested more than $16 million in academic support, and named over 580 Tillman Scholars at over 100 academic institutions nationwide. Interested students should visit the Pat Tillman Foundation website, pattillmanfoundation.org, to start an application. The application requires a resume, valid military service record, a character recommendation and two essays detailing the applicant’s military and public service experiences as well as future academic and career goals. Applications must be submitted by Feb. 28. Finalists will be asked to submit additional materials and will be interviewed by the Pat Tillman Foundation.